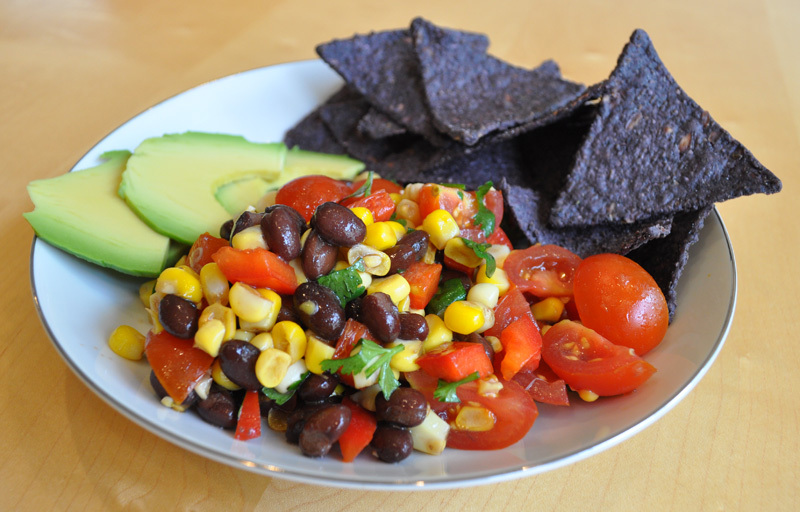 Love this with corn chips and avocado! Cook corn and then submerse in cold water to stop cooking process. Cut kernels from cob. Combine corn and all remaining ingredients in a medium bowl. Chill for 1 hour to allow the flavors to blend. Serve with corn chips, flour tortillas, or alone as a side dish.